*This fee will be credited towards your child's first week fees. and pay the $100 deposit to secure a spot in our program. ​*$50 supply fee due each August. After school care will be provided during the regular school year 2:00-5:30 for students in grades Pre-K and up. 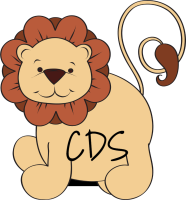 The children will have a snack and a daily devotional when they arrive to CDS. We will be offering a variety of activities throughout the year. Stay tuned!